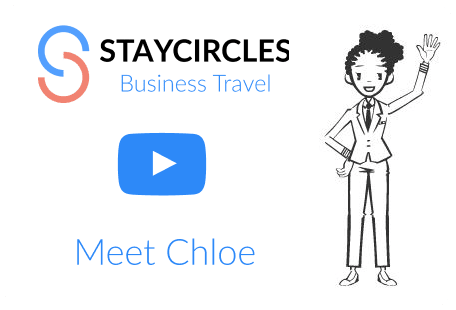 StayCircles is a different way to do business travel. 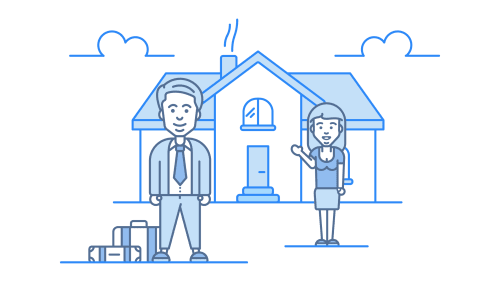 With each booking, the business traveler and their host each earn money, and the company saves 33% off the market rate for lodging in the area. All your friends and friends-of-friends on a map so you can easily select and propose a stay. Travel for work and stay with friends? You get paid for that. And so does your hosting friend. Your company? They save too. Business Stay: How it works, the basics. 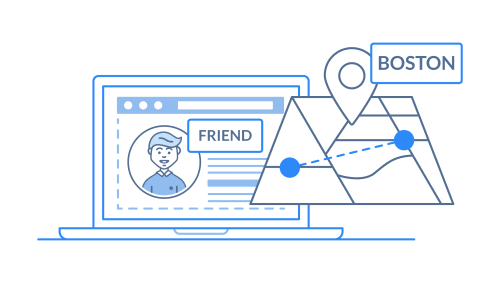 You have a business trip, so you book a stay with your friend (or friend-of-friend). 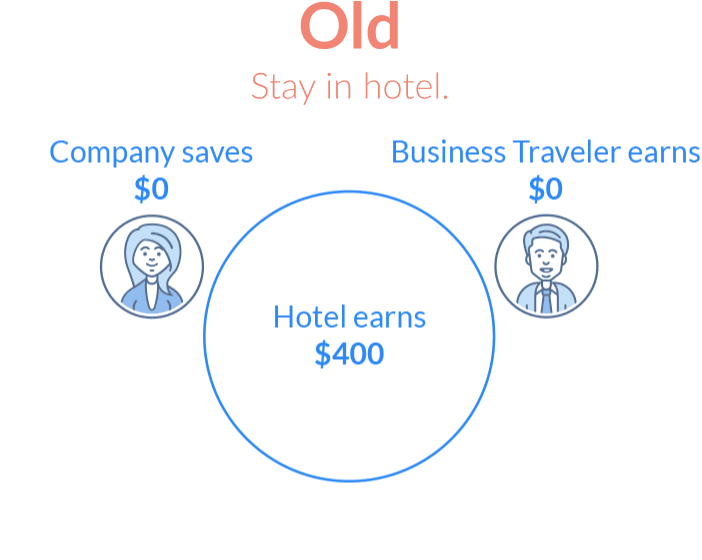 Your company pays StayCircles for your booking, saving 33% off the market rate (hotel, etc). You go on a business trip. You stay with a friend, or friend-of-friend. 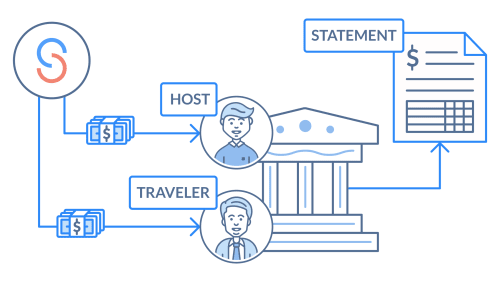 StayCircles pays both you, the business traveler, and your friend, the host. Simple process to confirm stays with friends saves you from endless texts and emails confirming details and confirms everyone’s earnings! 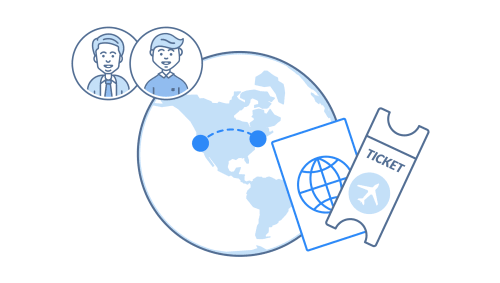 Business Travel: How it works, detailed storyboard. You’re heading to Boston! You search StayCircles & find an old friend who has an available room. Bonus- it’s near your conference site! You propose a stay and enter the comparable price (what you would have paid at a hotel or another alternative) of $900 for 3 nights. Your friend gets a message that you’ve proposed a stay. They accept your proposal and you start making plans! 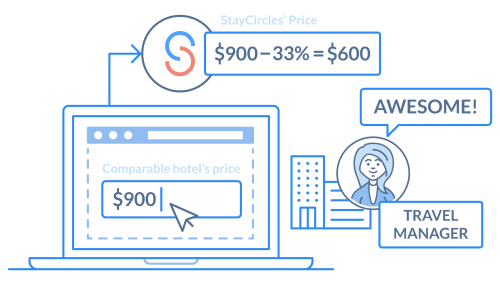 StayCircles automatically takes 33% off the comparable price, making the total cost $600, plus a $15 service fee. Your card gets charged $615. Your company saves 33%. You head to Bean Town and have a great time attending the conference while staying with your old friend. 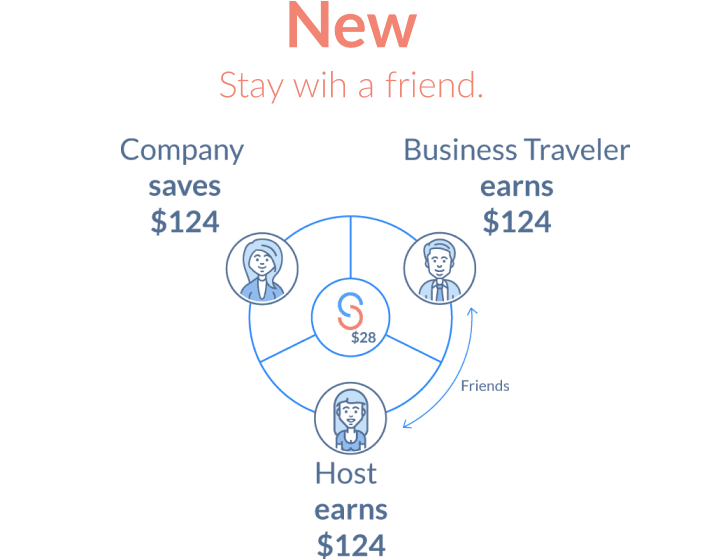 StayCircles pays your friend $285 ($300 - $15). 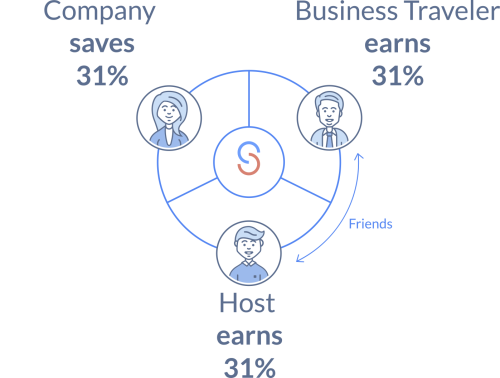 StayCircles pays you $285 ($300 - $15). And the money is deposited directly into your bank accounts. Every time you travel, you save money and strengthen connections with people you care about around the world. After all, it’s not where you go in life, it’s who you see along the way. 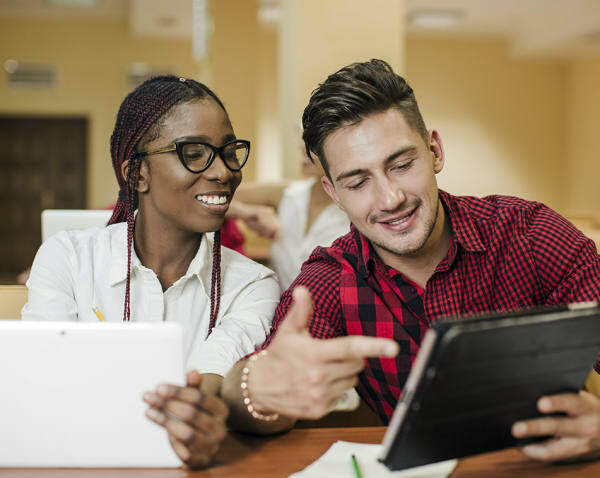 For long term work assignments, staying with a friend can make all the difference. 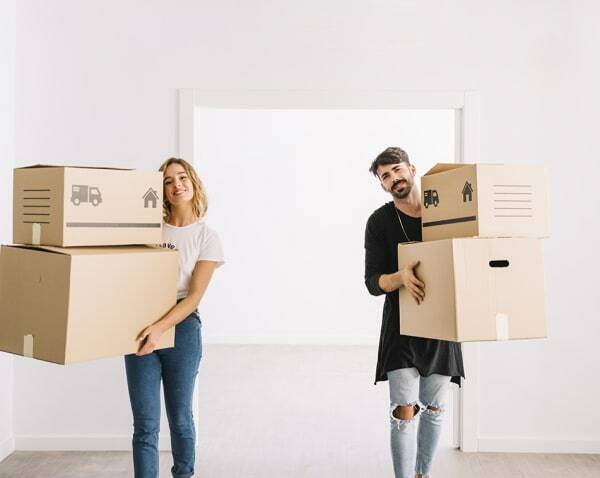 Moving to a new place for a job can be hard. Staying with friends makes it easier. Cheap flights to epic destinations directly to your phone. See and stay with friends worldwide.